Global Travel Media » Blog Archive » Why was Radiance passenger deported to Australia? Why was Radiance passenger deported to Australia? 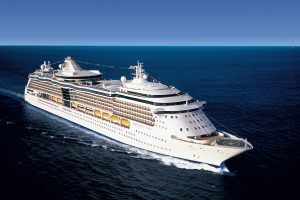 In circumstances shrouded in secrecy, an Australian passenger on Radiance of the Seas was taken into custody yesterday during a New Zealand cruise, driven straight to the nearest airport last night and deported back to Australia. The man’s cruise holiday came to its abrupt halt shortly after the ship docked in Port Chalmers, Dunedin – but nobody is saying why. Immigration NZ national border manager Stephanie Greathead confirmed to Dunedin’s newspaper, the Otago Daily Times, that the man was “turned around” and sent back to Australia. Neither Greathead, the New Zealand Police nor Royal Caribbean will say why the man was refused entry to New Zealand, which makes the whole matter mysterious. 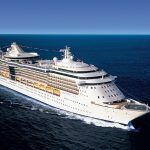 In a statement, Royal Caribbean said it was “cooperating fully with New Zealand Police and Customs in this matter”. Radiance of the Seas departed Sydney on Wednesday on the way to Auckland on a 10-night cruise. The ship explored Fiordland National Park on the west coast of New Zealand’s South Island on Saturday morning and arrived yesterday in Dunedin. Dunedin was probably the first New Zealand port where passengers could disembark. The ship is due this morning in Akaroa, a former French settlement on the South Island east coast. Trans-Tasman deportations in the other direction – Australia to New Zealand – are far more common. New Zealand has several times voiced objections to Australia’s policy of deporting New Zealanders if they commit crimes in Australia. Deportations of foreigners on temporary visas have been on the rise in Australia since the government amended its immigration law in 2014 to give the Minister for Home Affairs the power to expel people viewed as a risk to Australian society. This change in the law has had a disproportionate impact on New Zealanders, particularly those of Maori or Pacific Island descent. In the past two years, more than 1000 New Zealanders have been deported from Australia – and according to The New York Times, more than 60% of those deportees since 2015 are of Maori or Pacific Islander descent. Whether that has anything to do with the sudden deportation of the Australian man from Radiance of the Seas yesterday perhaps will emerge in time. New Zealand authorities are shedding no light on the matter. “For legal and privacy reasons, we are unable to provide any further comment,” an official said. Adding another note of mystery, The Otago Daily Times reported that a sudden death had occurred on a cruise ship in Dunedin yesterday – but it was unclear whether the death had been on Radiance of the Seas or on Golden Princess, which was also berthed in Dunedin. A police spokeswoman said the death was not suspicious and had been referred to the coroner. The man has pleaded not guilty to a charge of attempted murder.